Chase Ultimate Rewards® are considered one of the most valuable, and flexible rewards currencies available. They can be redeemed directly through the Ultimate Rewards Travel Portal, easily transferred to one of many travel partners, used to pay for purchases and experiences, redeemed for statement credits and more. Earn 60,000 bonus points after you spend $4,000 on purchases in the first 3 months from account opening. That's $750 toward travel when you redeem through Chase Ultimate Rewards®. Plus, get 2X points on travel and dining at restaurants & 1 point per dollar spent on all other purchases worldwide. Additionally, the Sapphire Preferred has a huge range of benefits including Auto Rental CDW, Trip Cancellation and Interruption Insurance, and Trip Delay Reimbursement. Similar to the Sapphire Preferred, but with greater earning potential and more perks! You'll earn 3X points on travel and dining at restaurants. Additionally, Visa Infinite benefits on the Sapphire Reserve improve on what is offered by Visa Signature on many other credit cards. A great signup bonus of 50,000 bonus points and a minimum redemption value of 1.5¢ per point when booked through the Ultimate Rewards Travel Portal, makes this cards bonus worth at least $750 without looking at anything other than the bonus. The top business card in Chase's stable of Ultimate Rewards earning credit cards and replacement for the Ink Plus® Business Credit Card. Earn 3x points per $1 on the first $150,000 spent in combined purchases on travel, shipping purchases, Internet, cable and phone services, advertising purchases made with social media sites and search engines each account anniversary year. The Ink Preferred offers a formidable 80,000 point signup bonus after you spend $5,000 on purchases in the first 3 months from account opening. The card also offers Primary Auto Rental CDW and Trip Protection & Interruption Insurance. Read more in our comprehensive review. Ink Plus® Business Credit Card – Card no longer accepting applications. Earn 5x points on the first $50,000 of combined phone, internet, cable, and office supplies spending, and 2x points at gas stations and hotels, also up to $50,000 annually. You will earn 1 point per dollar for all other spending. Although promoted as a cash back card, the Freedom Card also earns Ultimate Rewards which can be redeemed for gift cards, statement credits, and even purchases on Amazon.com. Earn 5 points per dollar spent on quarterly rotating categories. If you're also a cardholder of the Sapphire Preferred Sapphire Reserve, or Ink Preferred, you can combine the Ultimate Rewards earned on the Freedom Card with either of them for redemption on travel. Once combined into either a Sapphire Preferred, Sapphire Reserve, or the Ink Preferred account, you unlock the ability to transfer points to travel partners. If you choose the Freedom Card you'll earn a $150 Bonus after spending $500 on purchases in your first 3 months from account opening.. If you are looking for a versatile cash back card, the Freedom Unlimited is the way to go. 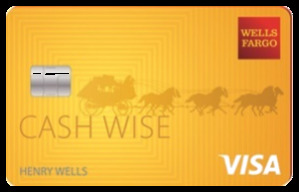 With unlimited 1.5% cash back on all purchases and a $0 annual fee, this card earns Ultimate Rewards which can be redeemed for cash back in the form of a statement credit, or through the Ultimate Rewards Travel Portal at a value of one cent per point. 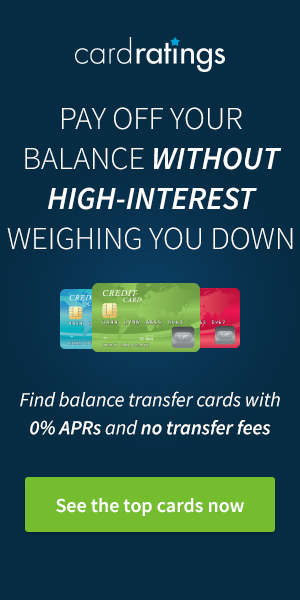 Chase also allows you to combine points earned using the Freedom Unlimited, with those earned on your Sapphire Preferred, Sapphire Reserve, or the Ink Preferred for additional redemption opportunities. The business rendition of the ever-popular Freedom Unlimited card, the Ink Business Unlimited receives the same rewards earning structure of 1.5% on all business purchases, with no cap on the number of points you can earn. Similar to the no annual fee cards above, you need to pair the Ink Business Unlimited with one of Chase's premium cards to transfer to travel partners. After choosing the card or combination of cards that best suit your individual goals, the next step is learning the best ways to redeem your Ultimate Rewards. Here are 19 different ways to redeem Ultimate Rewards. One way to redeem Ulitmate Rewards is through the Ultimate Rewards Travel Portal, which works in a similar way to online booking agencies like Expedia or Orbitz. Enter your desired dates and destination, and when your results appear it allows you to pay using your points, your Chase card or a combination of the two. If you're using points linked to your Sapphire Preferred or Ink Preferred cards, you'll receive a value of 1.25 cents/point when you book travel directly through the Ultimate Rewards Travel Portal. Using the Sapphire Reserve, you'll receive even greater value at 1.5¢ per point when redeemed via Ultimate Rewards. Although we usually recommend transferring points out to the fantastic list of travel partners as the best way to maximize the value of your points, the Ultimate Rewards Travel Portal can sometimes make more sense – here's why. Using airline miles can be restrictive if you need to travel on specific dates or want to fly during peak season. Using the travel portal, you are not limited to a particular airline, and there are no blackout dates. While booking flights through the Travel Portal might not provide the theoretical highest cent/point value, it can provide enormous value in the form of flexibility. It's up to you which you value more for any given redemption. It is important to remember that when you book Air Travel through the Ultimate Rewards Travel Portal, you will earn miles and credit towards elite status with your preferred airline. Now, typically, we try to redeem Ultimate Rewards points for 1.7 cents per point or more. So, in what situations does it make sense to redeem them for 1.25 cents per dollar through the Travel Portal on hotels, when you could achieve higher values from transferring to hotel or airline partners? Similar to booking flights above, there are occasions you need to book a hotel when there is no award availability on one or more of the nights you want to stay. Also, for stays in hotels where the advertised rate is lower than the points redemption option, check the travel portal as with the 20% discount you may be able to get a better deal on the same rooms. Another reason to use the travel portal to book a hotel is when you have a limited amount of points in your account, you can book using a combination of points and paying with your Chase credit card. Reminder: Hotel stays booked through the Travel Portal are not likely to count towards elite status, nor are you likely to receive any elite benefits upon check-in. When booking a car rental using the Ultimate Rewards Travel Portal, you'll get 1.25 cents per point for travel redemptions which are below the return we are trying to achieve when you take it on face value. However, Chase often has some of the best rental car rates around, meaning you will often find a discounted price which can offset the lower redemption value. And if you are redeeming points from your account, you will also be eligible for one of the most valuable benefits to come with your Sapphire Preferred, Sapphire Reserve, or Ink Preferred, Auto Rental Collision Damage Waiver. You can find more details about the excellent benefits that come with the Sapphire Preferred. Review the Guide to Benefits for your particular card for full information on these benefits. While not the most talked about redemption option for Ultimate Rewards, it is worthwhile looking at the Activites tab before booking any excursions in your chosen destination. Whether you are looking for a guided tour, tickets to a museum, or a sightseeing cruise on the harbor, it's highly likely you'll find a deal on the travel portal. And, everything you book will qualify for that same 20% discount on travel. Compare the prices shown in the portal to what is publicly available and you'll be pleasantly surprised. Chase Ulitmate Rewards transfer to travel partners at a 1:1 ratio, meaning 1,000 Ultimate Rewards points will convert to 1,000 points/miles in your chosen currency. The PointSavers program gets an honorable mention here. You will also get more out of your points by redeeming for five nights as the fifth night is free, so for a hotel that charges 20,000 points per night, a five-night stay will set you back 80,000 points instead of 100,000. Tip: With the merger between Marriott and Starwood now closed, members can transfer Ultimate Rewards points to Marriott. While not the best value use of Ultimate Rewards points, it's a handy option if you need to top your account off with a few thousand points for a specific redemption. Transferring your Ultimate Rewards points to IHG at a 1:1 ratio is only advisable if you find a deal like a PointBreaks hotel for 5,000 points or if you need to top off an account with a few points. Typically, you will get better value redeeming your points for the minimum 1 cent per point cashback or booking through the Chase Travel Portal for the 20% discount on travel redemptions. Often considered the sweet spot for transfers from Ultimate Rewards, World of Hyatt offers up some fantastic value on points redemption. Transferring 30,000 Ultimate Rewards points to World of Hyatt would get you a night at the Park Hyatt Sydney (based on availability), recently recognized as the ‘top hotel in Australia/New Zealand by Condé Nast Traveler’s Readers’ Choice Awards.' 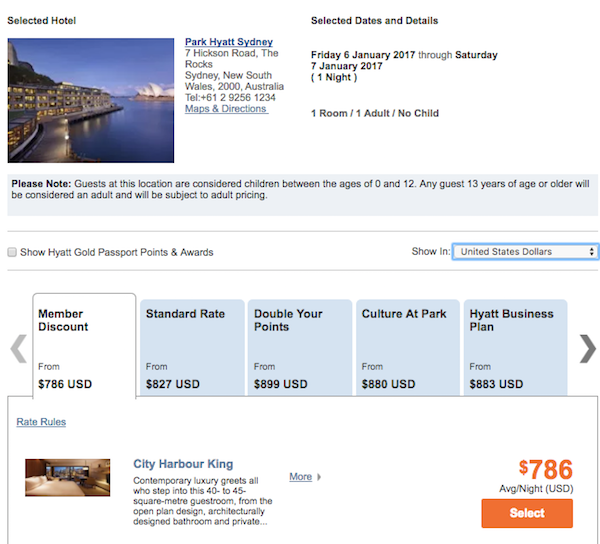 In the example below, this Category 7 hotel would cost you $786 for the night providing you a value of 2.62 cents per point. The Park Hyatt Sydney is a Category 7 hotel where prices over $700 per night are standard. If you ask most members of the points and miles community what they would rate their number one transfer partner for Ultimate Rewards, we think a large percentage would say United MileagePlus. As a Star Alliance member, you can book almost anywhere in the world, and most award bookings can be completed online saving you time and effort. Plus, you can still book stopovers and open jaw flights on with United allowing for trips to multiple destinations, for the same cost, depending on your destination and routing. In a recent post, we detailed a First Saver Award seat flying non-stop from San Francisco (SFO) to Tokyo (HND) in First Class for 80,000 MileagePlus miles plus $5.60 in taxes. Purchasing the same seat with cash was $11,079, returning a value of 13.8 cents per point. Transferring points to MileagePlus also has another value point; United doesn't pass on carrier-imposed fees on any of its partners. If you have ever found a stellar deal only to have hundreds of dollars in ‘fees,' you will know how valuable this is. As Southwest Rapid Rewards is a revenue-based loyalty program, the best way to leverage value from your points is searching for inexpensive flights. Members with a companion pass can get excessively good value rewards where they get 2-for-1 tickets, a feature unique to Southwest. Avios are another great option for transferring points from Ultimate Rewards. As a oneworld® alliance member you can get excellent value flying transatlantic on Iberia or Aer Lingus. Alternatively, if you live in LA, for a cool 12,500 Avios you can fly non-stop in economy class from Los Angeles to Hawaii on American Airlines or Alaska Airlines. Although you may find better value and more flexibility transferring Ultimate Rewards points to United MileagePlus or British Airways Avios, Virgin Atlantic can provide value when looking to travel on Virgin America. You'll typically want to avoid transatlantic redemptions on Virgin Atlantic as they impose a significant amount of fees on those awards. JetBlue is the latest transfer partner to be added by Chase, taking the place of Korean Skypass. Check back soon for breakdown of the best use of TrueBlue points. A longtime favorite transfer partner for any frequent flyer. While it can be near impossible to find first and business class award space for long haul flights using partner airline miles, Singapore Airlines does make that space available to its KrisFlyer members using KrisFlyer miles. 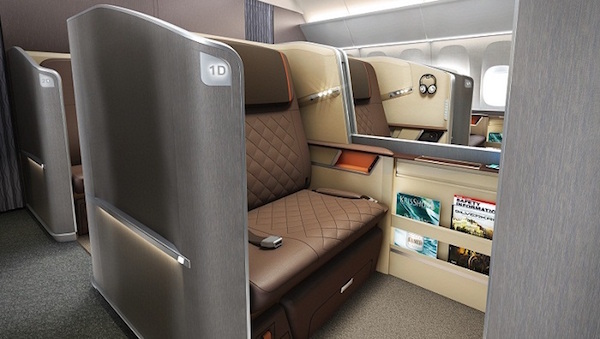 One of the best premium class products in the business, if you book through the Singapore Airlines website you receive a 15% discount off award chart prices, and, they allow for one stopover per round-trip. 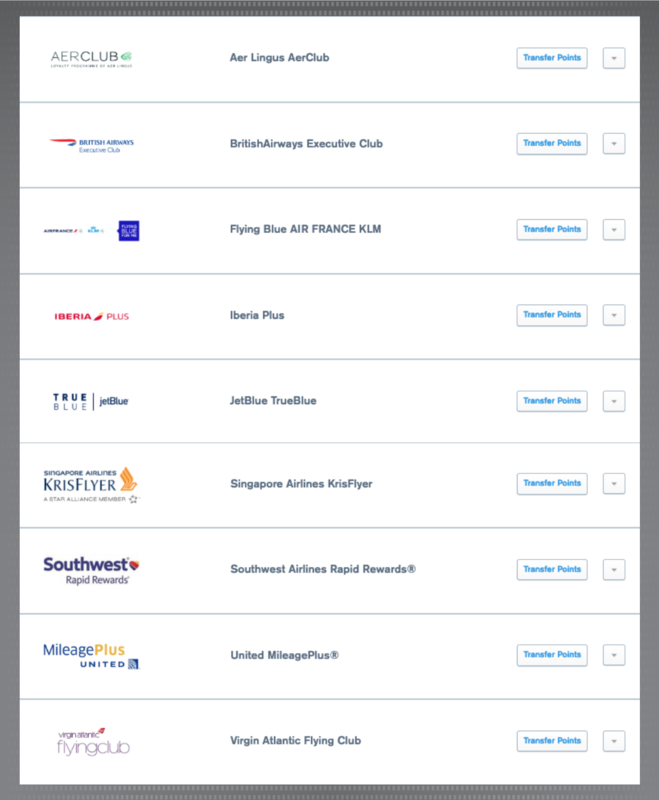 The latest addition to the Ultimate Rewards stable of transfer partners, Air France/KLM adds additional flexibility for redemptions within SkyTeam along with Air France's extended partner network outside of SkyTeam. You can find fantastic value when booking Flying Blue Promo Awards, a seasonal rotating list of destinations at up to 50% off Classic Fare award prices. You can redeem Ultimate Rewards as a statement credit on your account at a flat rate of 1 cent per point, but that is one of the lowest redemption rates available. Having said that, if you are not a traveler and have an account full of Ultimate Rewards, redeeming 60,000 points as a statement credit is still a cool $600 cash back and is something worthy of consideration. Similar to the statement credit above, redeeming for gift cards is not on our list of top redemptions as you will typically only receive one cent per point value. You will sometimes find some gift cards on sale for a 10% or 20% discount, but you will still find better redemption value elsewhere on this list. A different and often memorable way to use Ultimate Rewards points is through Exclusive Cardmember Events. The value of these is often hard to pin down as Chase curates these events and they cannot often be accessed on your own. The list of events and experiences changes so you will need to check back often, the events can be redeemed at a rate of 100 points per dollar. First impressions as a frequent flyer when using Ultimate Rewards to pay for Amazon purchases is that I could get better value elsewhere, but that depends entirely on what your goals are for your points. If your goal when signing up for a card like the Sapphire Preferred had nothing to do with travel and instead was to ease the financial strain of the holiday season, then using your Ultimate Rewards points at Amazon.com makes perfect sense. Like the statement credit, you receive $1 for every 100 Ultimate Rewards, and if you have your Chase card saved in Amazon as your Sapphire Preferred card, you can also shop with a combination of points and your stored Chase card. As of September 1, 2016, you receive $1 for every 125 Ultimate Rewards, a value of .8 cents per point. So there you have it, the ultimate list of 19 different ways to redeem Ultimate Rewards. There are so many redemption options available when it comes to Ultimate Rewards that we honestly can't fit them all in one post, and we haven't even touched on all the other benefits that go with the Sapphire Preferred, Ink Preferred, or the Sapphire Reserve. As far as loyalty programs go, we rate Chase Ultimate Rewards in the top tier of rewards programs due to the value of the points, how easily they can be transferred, and the flexibility offered in the fantastic list of available redemptions. 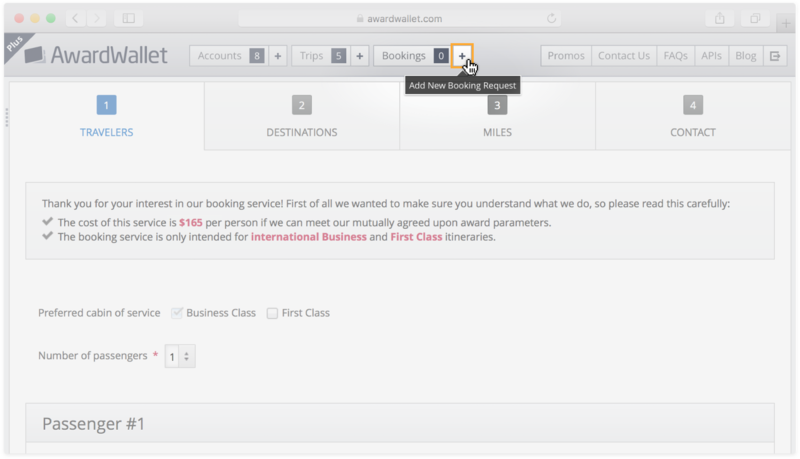 Did you know that AwardWallet provides an award booking service through its partners? If you'd like the team to help book an award ticket using your points and miles, just submit a booking request. What about the UBS Visa that is offering 50,000 bonus points with “My Choice Rewards” are these transferable??? Ann, I’m not familiar with the particular offer from UBS, however, based on my understanding of their rewards program, their points are not transferrable to travel partners. Instead the points function as a currency that you can use within their rewards portal. RT to/for Honolulu, either to Oak or Phoenix, because of our Alaska and HawnAir CC. After that, are there other option? We want to traveling first class from the get-go instead of trying for an upgrade. How do you think the Capital One Venture or Quicksilver compares to the Chase Sapphire? Joanne, these card products are vastly different in their rewards structure. The Capital One Venture and Quicksilver cards are effectively cash-back cards. Their rewards are of a fixed-value and regardless of if you have 10, 100 or 1,000,000 points, each point is with the same amount on a fixed cash-exchange scale. Happy to help steer you in the right direction here, the key that it all comes down to are knowing what your goals are. If you’re interested in international business/first class travel and staying at top hotels, you’ll likely get significantly better value from the Ultimate Rewards program. Of these 4 cards, which is the best for generating hotel and airline points: Starwood AMX, Marriott Rewards, Chase Sapphire Preferred, and Chase Sapphire Reserve? I’d go with the Sapphire Reserve and the SPG Amex as a backup. Traveling to Manila from Miami 2017. Thinking of opening a card to get lounge access for layovers, travel benefits and no international transaction. Will be paying for 4 other family members. is the Chase sapphire reserve the best card? if not, which is the best card of this? It’d be the space I would start. You can, but not at the 36k redemption. You’d need to have miles in your Etihad account for that. My husband and I are planning a trip to Europe in 2018. Typically, we travel domestically a few times per year (some flying, some driving) using hotel points and we also use Southwest Rapid rewards to fly our daughter home during college breaks. We currently use Hilton AMEX, Hyatt Visa and a Southwest card. We are considering getting the Chase Sapphire Reserve card to get the 100,000 bonus points (walk in branch to apply). Would you recommend this card for us, and if so which of the cards that we have should we eliminate? Also, does the CSR card allow for transfer of points to Hilton? Maureen, the points earned with the CSR, Ultimate Rewards, do not transfer to Hilton. As for which cards to eliminate — none? It really depends on how you’re using your cards now and what you’re using each of the earnings for. I guess if I were to eliminate a single card it might be the Southwest card. I’d keep the Hyatt for the free night certificate and the Hilton card if it is the one with no fee. As far as recommending this card, its the #1 card I’ve recommended to all family and friends looking for $2000+ in value for travel from a single card. Hi Howie: I’m posting this to the UR page instead of the Chase Freedom page since it’s all about earning as many UR points as possible and there isn’t much activity on the Freedom page right now (feel free to move it if you’d like). The first quarter 5% bonus category on the Freedom card is gas stations, and checking the UR portal I see I’m only about half way to the maximum 7,500 bonus points with five days left until the category changes on April 1. To maximize the benefit, should I stop by my favorite gas station this week and charge a $500 gas gift card to my Freedom card? That’ll gain me 2,500 bonus UR points right there? If there are no restrictions against this strategy, it seems like something everyone with a Freedom card in their portfolio should be doing right now. Thanks! That would absolutely work. Keep in mind, you’ve then got $500 in gas to work through and then need to compare the time value of your money. If you don’t need the cash now take the points now. Hi Howie…first of all, thank you for all of the great information and timely responses. I was a little confused by one of the statements in the section describing the Chase Freedom card. I have a Chase Sapphire Reserve card which I love but I would also like to access the 5x points per dollar on their rotating categories for the Chase Freedom Card. But in the section describing the Chase Freedom card I saw this statement, “If you’re also a cardholder of the Sapphire Preferred or Ink Preferred, you can combine the Ultimate Rewards earned on the Freedom Card with either of them for redemption on travel.” Does this mean that you can’t combing the Ultimate Rewards earned on the Freedom Card with the Ultimate Rewards earned on the Sapphire Reserve Card? In your opinion would it be beneficial to have both the Sapphire Reserve and the Freedom, knowing I would only use the Freedom on the 5x monthly categories? Thanks! Ryan, thanks for the question and I’ve updated the post to specifically call out that the Sapphire Reserve is included as well. More on that here too: https://awardwallet.com/blog/combine-chase-ultimate-rewards-multiple-credit-cards. In my personal opinion, the Freedom is a great addition with the 5x categories, especially as it has no annual fee. I have it along with a Freedom Unlimited and Ink Cash so I can max out on my bonus categories with no annual fee cards. I have been searching and can’t find any articles on how Chase Ultimate Rewards Travel Portal does not give you any information on vendors when booking activities. I want to know the company before I book so that I can check them out and read their reviews. Do you have any experience with this? Yes, in my experience it has been all opaque bookings, unfortunately.